Cramped or small spaces can be stressful and difficult to relax in. That is unless you know how to the fundamentals on how to decorate small living rooms and tricking the eyes to make your space appear and feel larger than it really is! 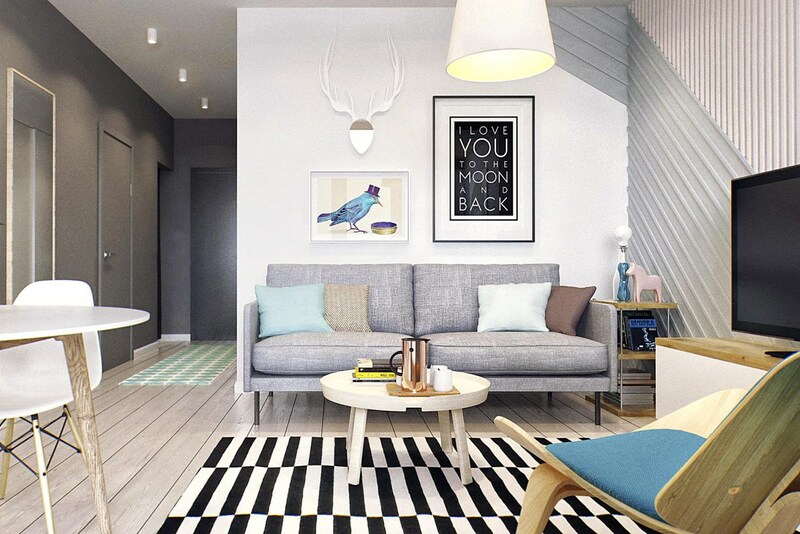 If you are having trouble with your small living room, or any other cramped living spaces, learn how to make the most out of it with tried and true small living room ideas focused on decorating and design. 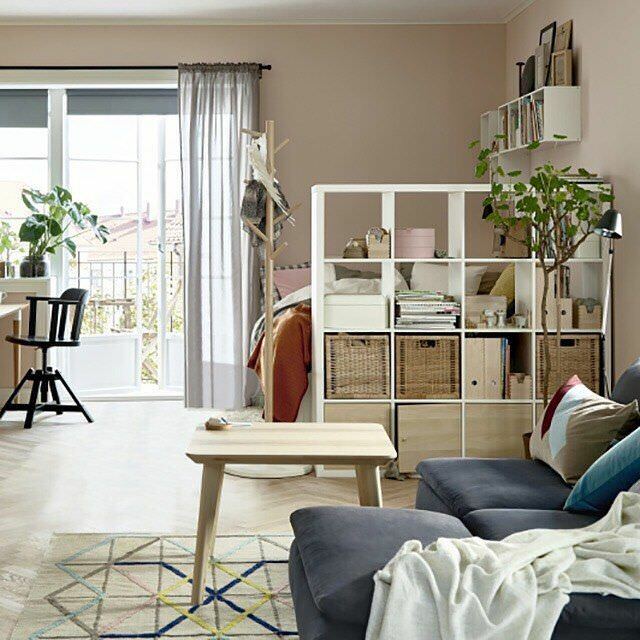 In small living spaces, you want to avoid filling your room with bulky furniture. Furniture that offers open bottoms and thinner legs will help to add more visual space to the room. If storage space is necessary, try combining storage with your seating. Hidden storage space is a great way to utilize your furniture efficiently, and cut down on the amount of furniture needed in a room. Lighter colors can do wonders in “adding space” to a room. If you have dark flooring, create an appealing layered look with a light-colored or light-patterned rug, just make sure its not too busy, as cluttered or overwhelming looks can actually diminish space. 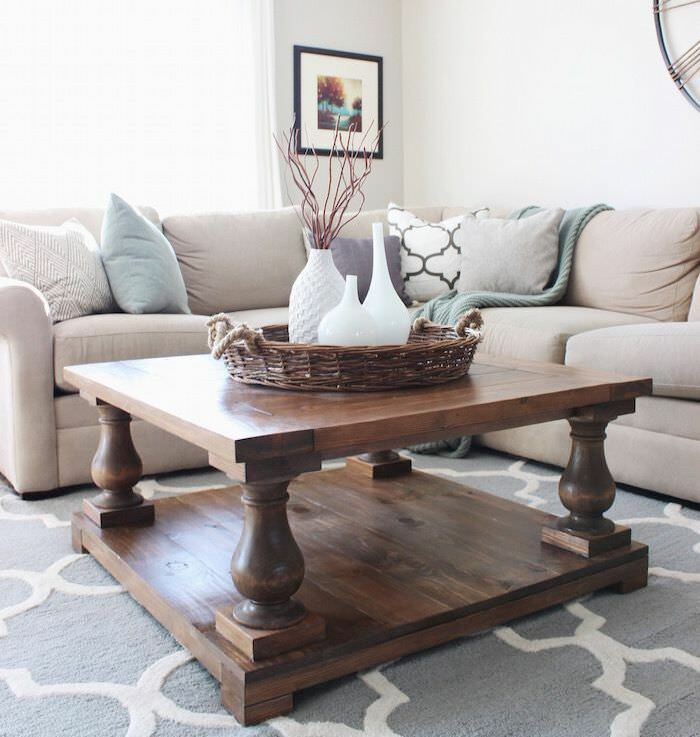 Although a large square coffee table may seem like a living room standard, mix it up with two smaller and moveable round tables, such as African drum sets. Round corners typically add more moveable space and smaller furniture gives a more open appearance. Nothing works better in opening a small room than making it feel taller than it really is. High windows, or high curtains wherever possible, will give the illusion of a taller room, in addition to allowing more air and light. Your living room being small doesn’t mean you have to sacrifice fun design interests. Try mixing some bright and bold colors into your pallet to create an appealing contrast. If your room is darker, this will have the added benefit of making your room feel brighter, in addition to adding space. Be sure to restrict your color pallet to no more than two or three colors. Too many colors in a smaller space can be overwhelming. 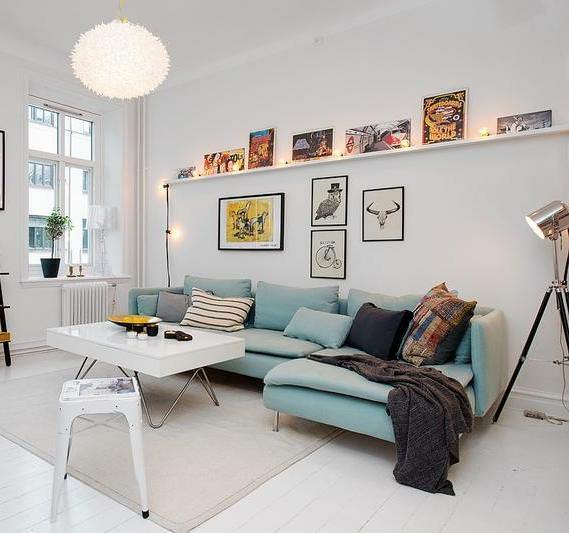 In order to make that most out of your small living room layout, you are going to have to use every nook and cranny. Make use of your corners and add shelves where you can to remove clutter off of tables and floors. Removing what you can off of tables and lifting knickknacks and personal items from walls can help your room feel wider and more open. Wherever possible, remove lamps from your floor space and implement a ceiling or skylight. Lights in your ceiling will also help your room feel taller, adding more space and directional lightening. Although light colors are notorious for adding more space and light to a room, don’t be afraid to use dark colors. Deeper hues add an appealing style and drama. If you decide to paint your room darker, opt for gloss or semi-gloss that will help reflect light. 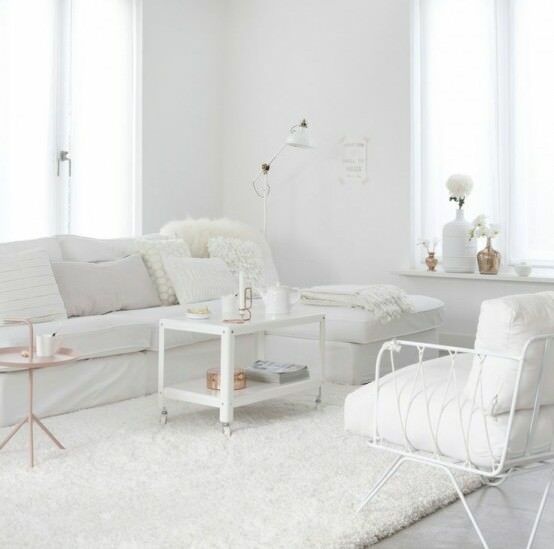 If you are dealing with a small and dark space, white is one of the best choices for adding visual space and reflecting light. 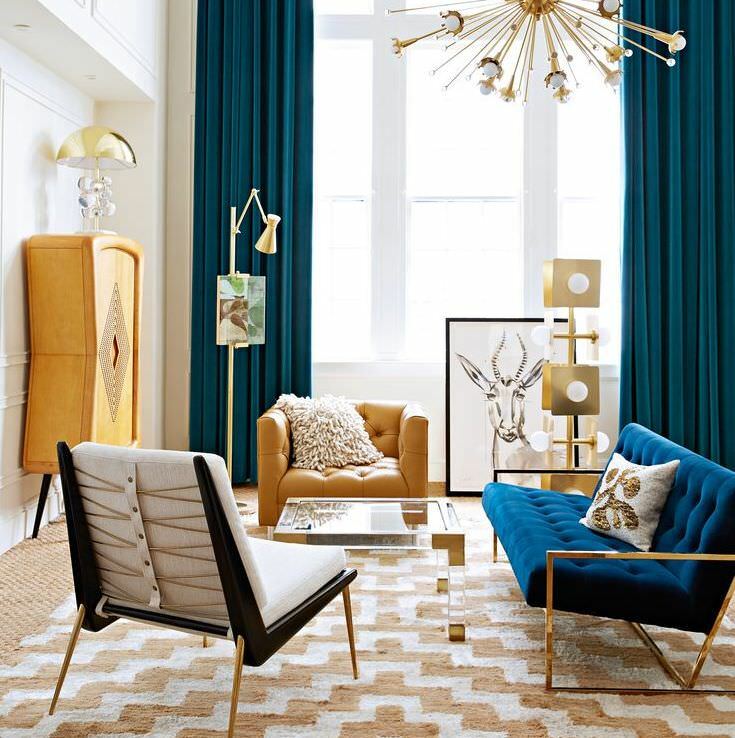 A color scheme that is cohesive leaves you an organized look that is calming. Pair your white wonderland with simple knickknacks that don’t take too much away from the clear, clean, and crisp oasis. Mirrors are known to work magic in small spaces. 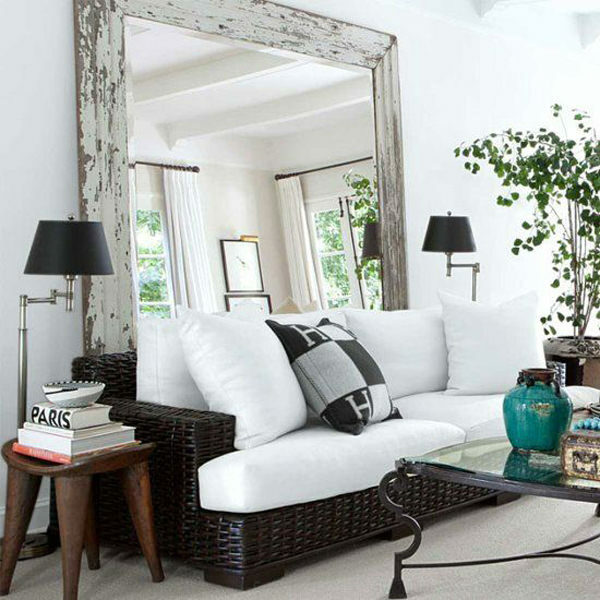 Not only are mirrors an attractive decorative piece, but they can pull in light and dimension that makes a room feel larger than it really is. Although small furniture is typically known to add more space in a room, don’t be afraid to add a couple of larger pieces in. Too many little pieces can make a room feel cluttered and smaller than it really is. Go simple in a small room, and don’t be afraid to make some unique pairings for your desired end result. If you are struggling with how to decorate small living rooms, don’t be afraid to reach out for professional help. Contact Great Pros Services for expert design consultations and advice. 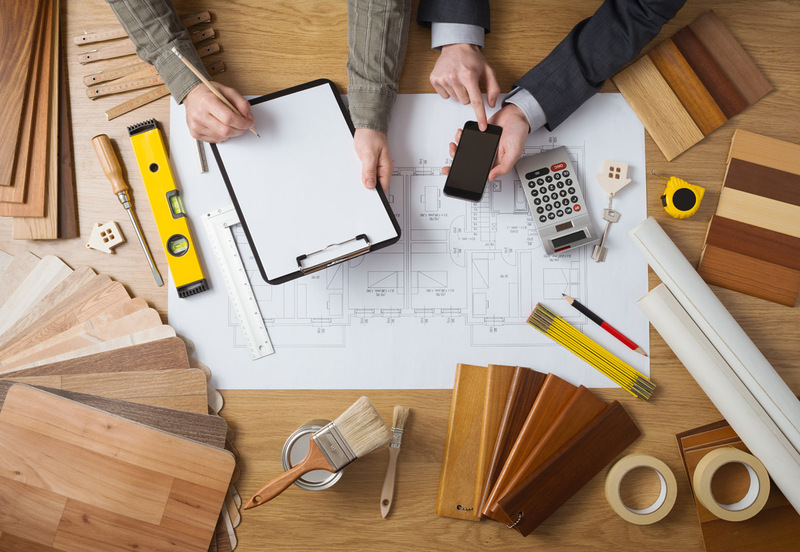 To get in contact with one of our licensed, bonded, and insured professionals, fill out this 2-minute questionnaire about your project and needs. 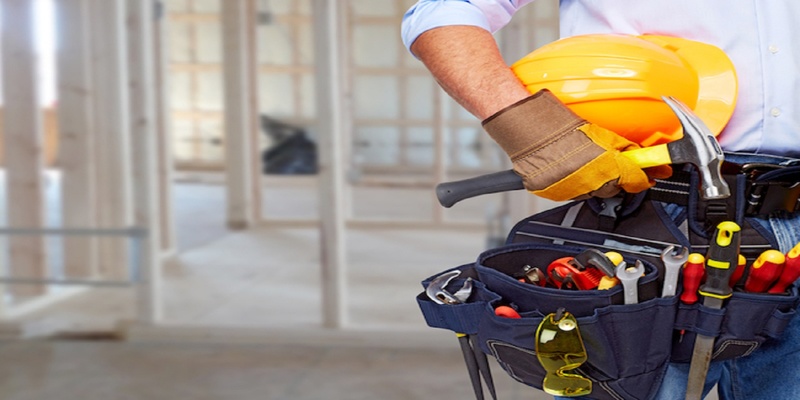 Compare profiles and prices with no pressure to find the right professional for you!